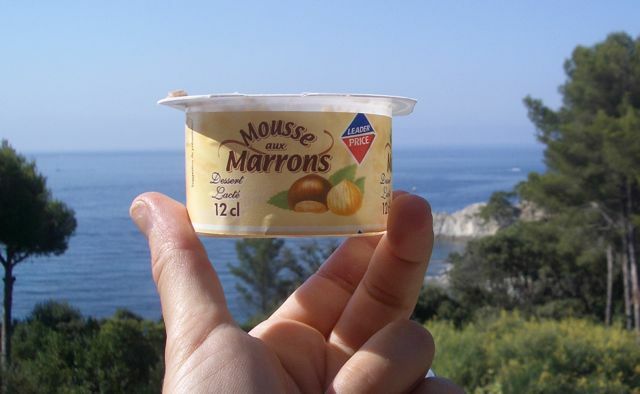 But in France, there’s one sweet that stands out above the rest and that’s “Lait Concentré Sucré.” Basically it’s condensed milk in a tube. Sticky, sugary and disgustingly good, I’m hooked on it. The FC’s father always has some laying on the table for breakfast, either to add to coffee or spread directly on bread. I’ve always liked condensed milk in pies and custards, I never knew it could also be a tasty condiment! 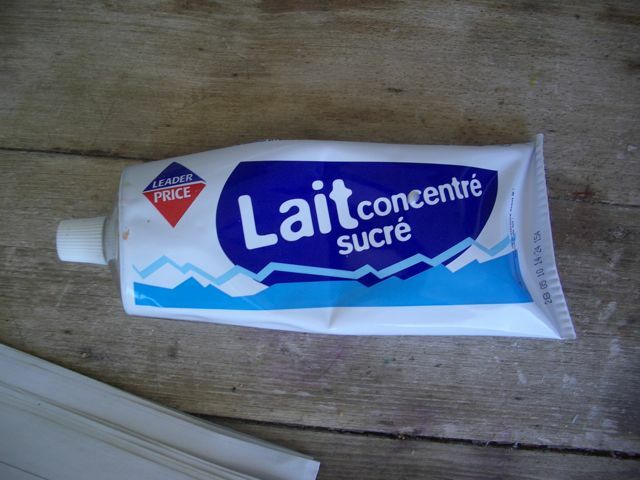 Lait Concentré Sucré: My new favourite toothpaste. Jerome, a consultant in Paris, pours Lait Sucré into his coffee. He particularly likes the stuff that settles on the bottom at the end. 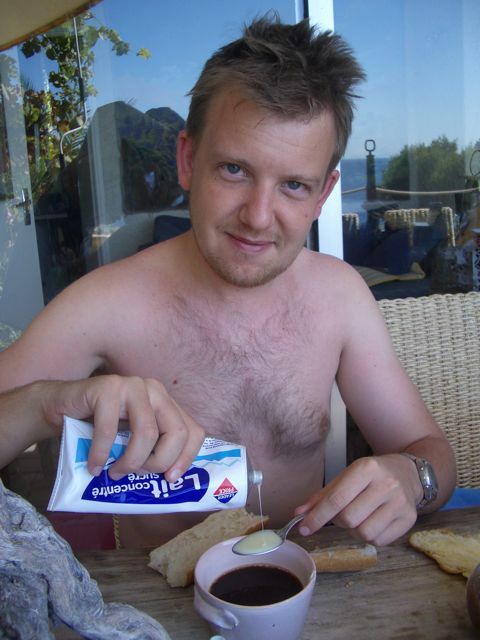 Maxim, who works for a European train company, guzzles some Lait Concentré Sucré. He's not the only Frenchie I've seen doing this. With the exquisite view of the sea and the warm rainless weather, life doesn’t get much sweeter. 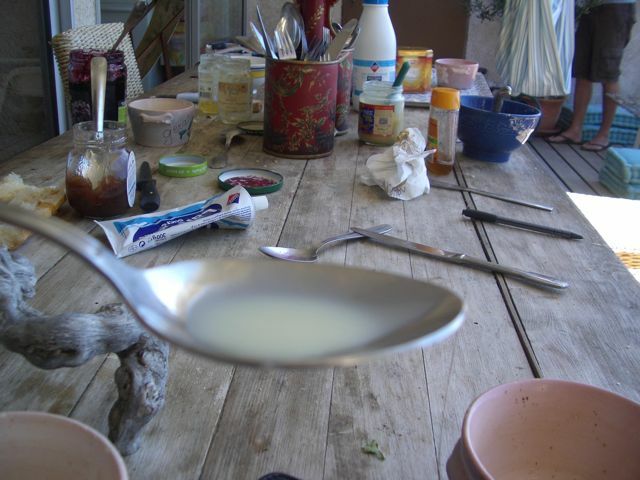 French Rivvie breakfast table. See all the jams? I count 4, almost finished, plus a honey jar that's in its final days. Mix and enjoy the sugar rush. This entry was posted on Friday, July 31st, 2009 at 9:17 pm	and is filed under Uncategorized. You can follow any responses to this entry through the RSS 2.0 feed. You can leave a response, or trackback from your own site.